Everytime I see photos of the movie “breakfast at tiffany’s” I am still drooling over Audrey Hepburn’s look. That is one simple yet over elegant and classy. One afternoon, I played to be like Audrey. 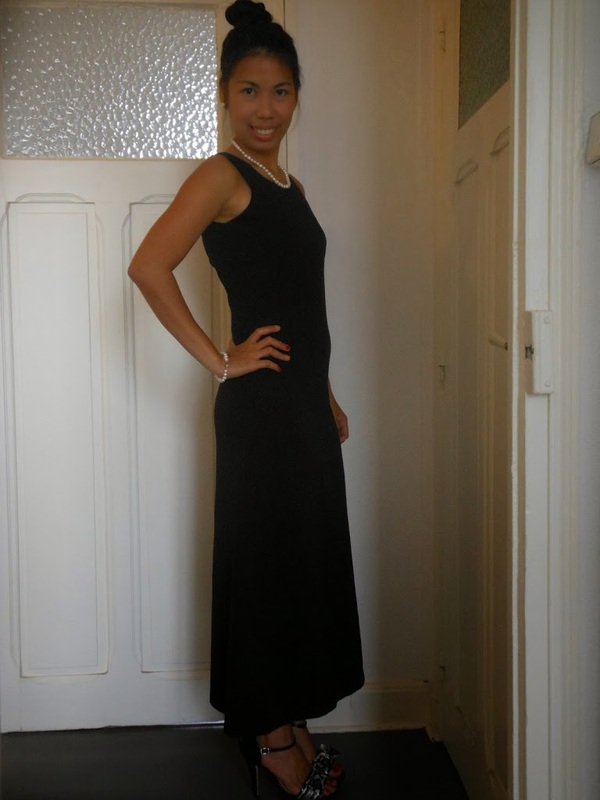 Forgive me, I grab my black dress and tried myself to look like her lol. One day, I’ll hire a make up artist and let herdo exactly the way it is. 🙂 Bucket list… to look like Audrey Hepburn. I know that’s kinda weird haha..Moving on, I’d attended one opera night already here in France but I don’t know yet what’s happening inside aside from the fact that they’ll be singing. 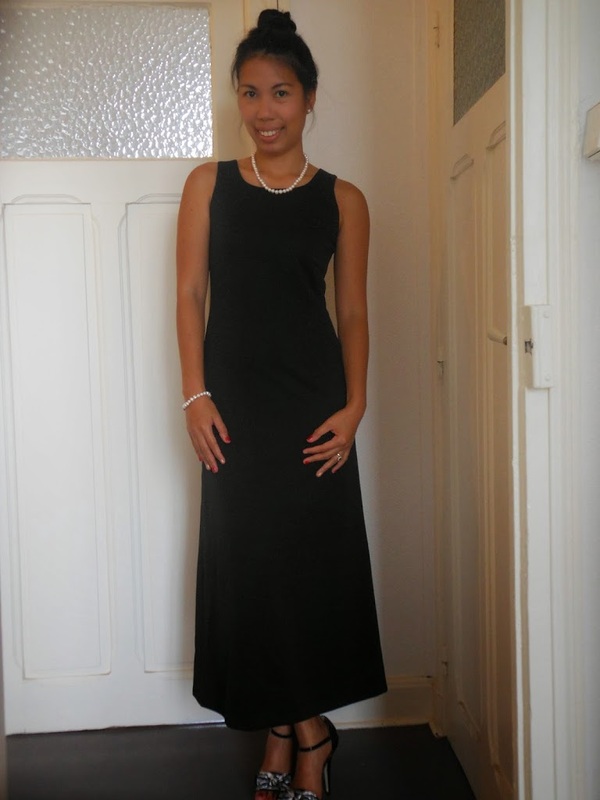 I wish I wore something like this that night. 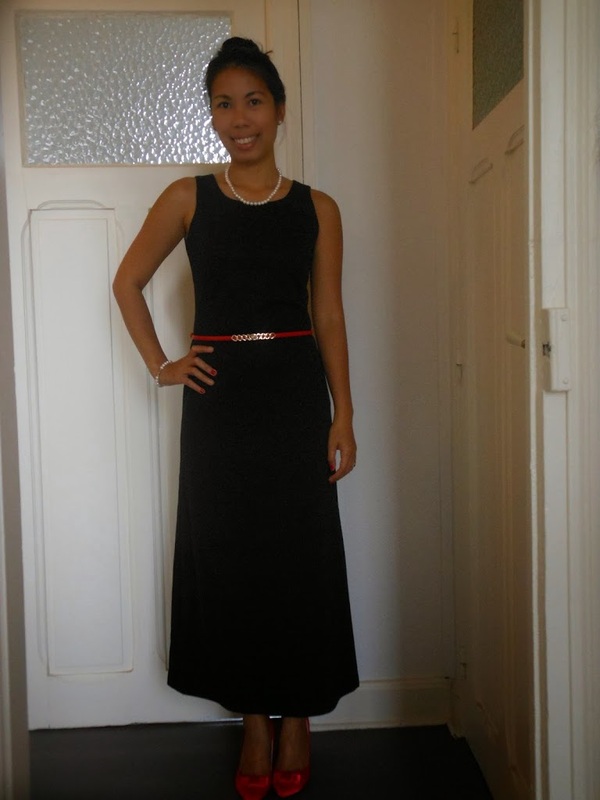 I bought this black dress in a thrift store in the Philippines that costs only less than 5€. Yes, less than 5€. 🙂 Just a little imagination it can look like it costs cher. I added a red belt and shoes to add some colors. Just one accessory makes it more different. I hope you like it. Leave me some comments below! Your thoughts and suggestions. Have a great day my dear readers. Be safe and always look fab!